One of the most successful filmmakers in the country today, Aanand L Rai, celebrated his birthday yesterday, doing what he loves most - making films ! Rai, who recently wrapped up the first schedule of his untitled next with Shah Rukh Khan , is neck deep in work , with his professional commitments both as a producer and a director. 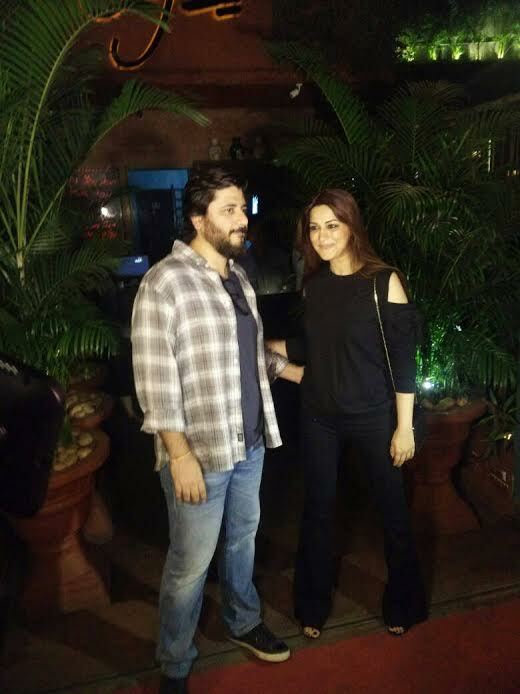 The filmmaker is busy with the prep of the next schedule of his ambitious film , that goes on floors in a few days at a suburban Mumbai studio. If that wasn't all, Rai is also busy with the release plans of his next two films – Shubh Mangal Saavdhan and Newton. 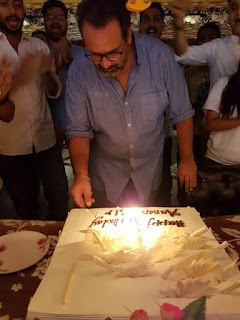 Says a source, " It was a working birthday for Aanand L Rai and knowing his love and passion for his work, he wouldn't have had it any other way. The filmmaker went for a private lunch with his team ,post which he was back in his office to work on his projects under his home banner Colour Yellow Productions. Sony MAX, India’s premiere Hindi movie channel brings, Theri, an action packed Tamil blockbuster that has an important message for society. This South Indian dubbed Hindi movie tries to stress on the importance of raising children well and making them responsible citizens of the country. 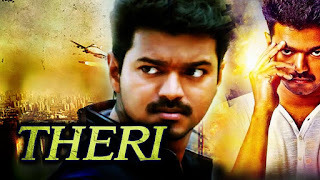 Directed by Atlee with Vijay, Samantha and Amy Jackson in pivotal roles, Theri is loaded with action sequences and emotions to satisfy all kinds of viewers. Vijay plays Joseph Kuruvilla, Vijay Kumar and Dharmeshwar in Theri wherein one of the characters is a cop and Samantha plays his wife Mithra, a doctor by profession. Interestingly the tough cop sees an opposition in the form of an influential man (Mahendran) in the area. Vijay then takes revenge on Mahendran after his family is attacked. VIVAMAYR Maria Worth, located on the beautiful southern shores of Lake Wörth, has fast become the go-to health destination for some of the biggest stars from around the world. India’s poster girl for health and fitness yesterday arrived at the sophisticated medical diagnostic clinic with state-of-the-art facilities. The region is renowned for its outstanding natural beauty and is a peaceful and glorious setting which Shilpa long looked forward to visit. 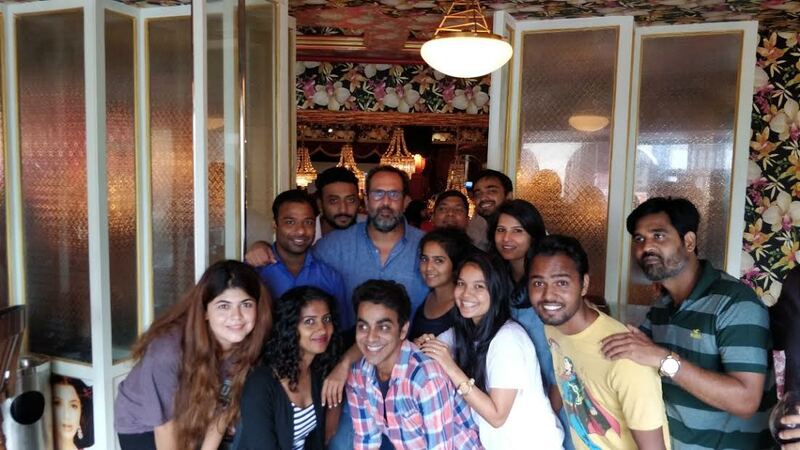 Shilpa who was in London, traveled to Austria to stay at the exclusive Centre from 25th June to the 2nd July. 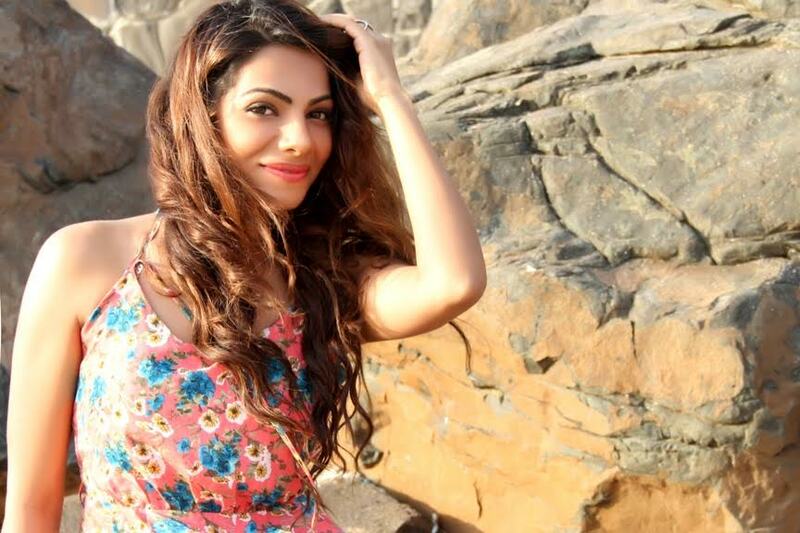 While this is Shilpa’s first visit to VIVAMAYR, she looks forward to meeting the health experts and nutritionists there, to better understand a subject that she has always been passionate about. Says Shilpa Shetty Kundra, “We’ve all heard such great things about VIVAMAYR and how their personalized health plans are life changing. I’m excited to visit the facility and learn more about Modern Mayr Medicine and the programmes they offer." “Healthy guests like Shilpa Shetty want to stay healthy, our philosophy is that the gut holds the key to our health. Our team at VIVAMAYR look forward to welcoming her and offering rest, relaxation and better health, says VIVAMAYR Managing Director, Serhan Güven. 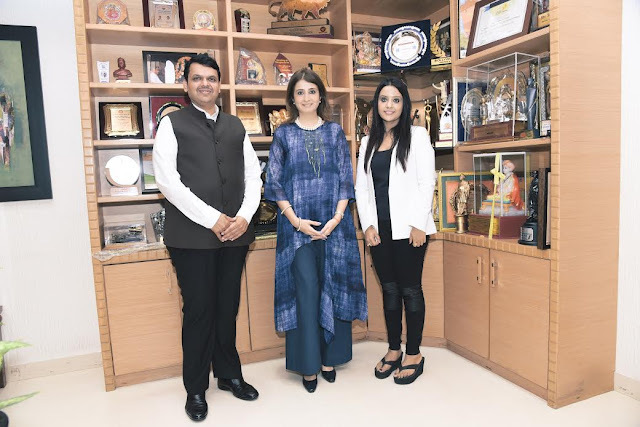 Recipient of the Red and White Bravery Award, actress ,humanitarian and leading women's right activist , Preity Zinta , in a revolutionary move has founded India's first and only holistic women's' safety solution. In association with Anthony Moorhouse Ex Special Forces Australia , Founder of Dynamq ,"Kavach Safety" , is a “pro victim – anti perpetrator” emergency response service, that assures safety at the press of a button. Preity Zinta says " I started Kavach to ensure that no woman should fear for her personal safety in her daily life. It has taken me 5 long years to get here because I feel we need to empower women. We have a duty to the women of India to reduce the risk of violence, to support those that have been affected, and to educate the country that safety is a right…not a privilege". Actor Vivian Dsena will be jn Mumbai for his birthday this year and plans to celebrate with his family. "I was in Udaipur for a few days, but I am back now and ready to bring in my birthday in style. I will be celebrating with my mother and mausi this year. We plan to stay at home and have a great meal together," says Vivian, who will turn a year older on June 28. 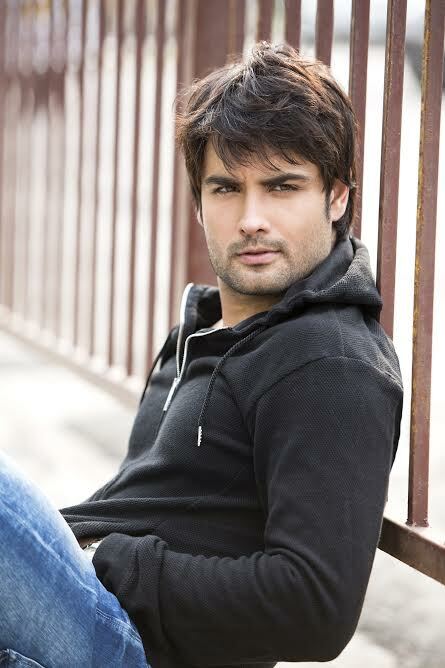 Vivian, who rose to fame with his show Madhubala-Ek Ishq Ek Junoon, says he is not fond of partying too much. "No parties for me," he says, adding, "Going out on other days is cool, but I don't like partying on my birthday. It's a very special day and I like to celebrate it with my family. They are the only people I feel like being with on my birthday." he says. The actor, who is currently part of the show Shakti - Astitva Ke Ehsaas Ki, plans to celebrate with amazing food. "Food is. A big part of my birthday celebrations. My favourite cake - mixed fruit, will be there. Plus every year, my mother cooks my favourite dishes"
Nawazuddin Siddiqui who is almost unrecognizable in his look for Sridevi starrer MOM, took a huge leap of faith and completely followed director Ravi Udyawar's vision. Apart from a gruelling hair and make up session that lasted almost 4 hours , the powerhouse performer chose to sport basic kurtas and shirts sourced from the local markets in Delhi. Infact the actor was so absorbed in his character that even the locals in Chandni Chowk Delhi where the team shot , didn't recognise him . 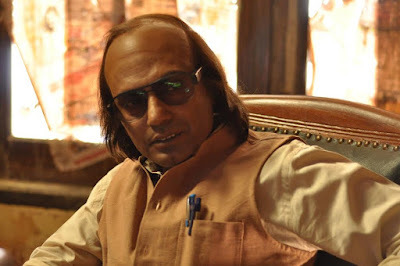 Says director Ravi Udyawar , " There is a reason audiences and the industry alike refer to Nawazuddin as one of the finest actors in the country. When I explained his look to him , he was really excited because it gave him the oppurtunity to do something different and as an actor he is constantly on the lookout for doing something that challenges him .He got on the sets , sat through hours of hair and makeup...walked around the local streets, wearing basic clothes picked off the street and yet managed to steal the show". 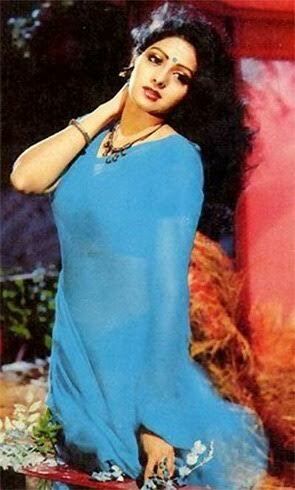 Funnily enough MOM protagonist Sridevi on the very first day of the shoot walked in on the sets asking to meet Nawazuddin Siddiqui, completely unaware that it was the actor himself standing next to her in his unrecognizable avatar. MOM starring Sridevi, Nawazuddin Siddiqui and Akshaye Khanna releases 7th July 2017. Actor Sara Arfeen Khan special Eid gathering to celebrate the festival on Wednesday. The guest list included celebrities like Vaani Kapoor, Manish Naggdev, Mouli Ganguli, Priya Bhatija, Srishti Rode and Soni Razdan. "We have been having our Eid party since the last eight years. 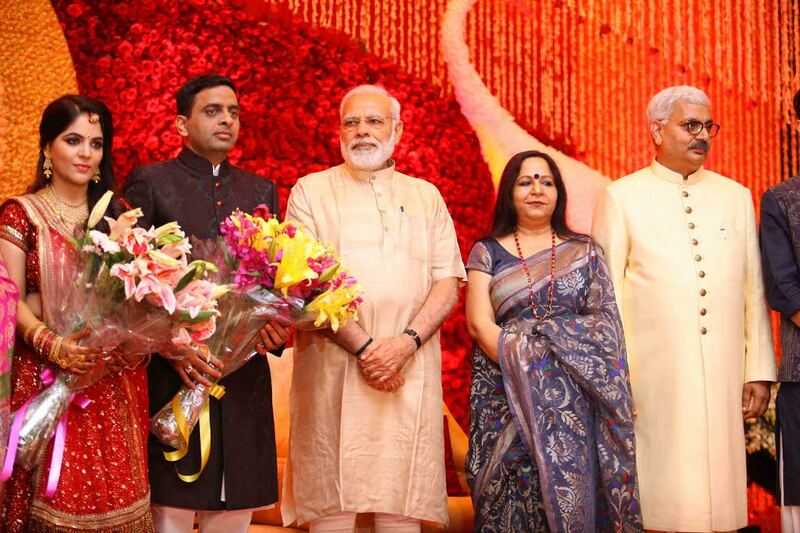 Every party is special because I have live singers, mehendi artists and bangle makers at the celebrations. The highlight of my party is always the music and the food. 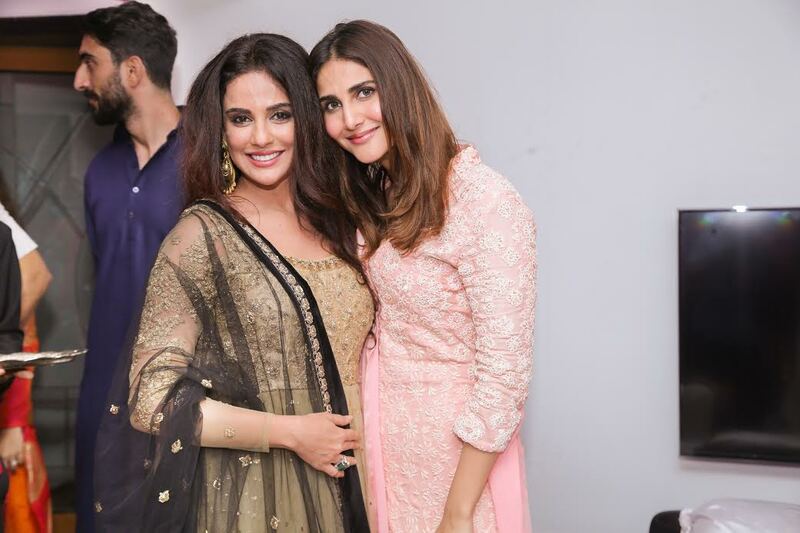 Food comes from Qureshi's Kakori House , their lovely kaloti kebabs and mutton biryani has been the highlight of the party every year," says Sara. 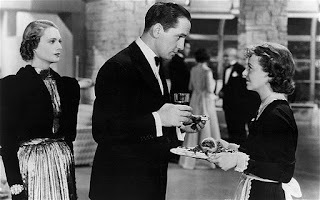 The actor adds that she and her husband love hosting parties. 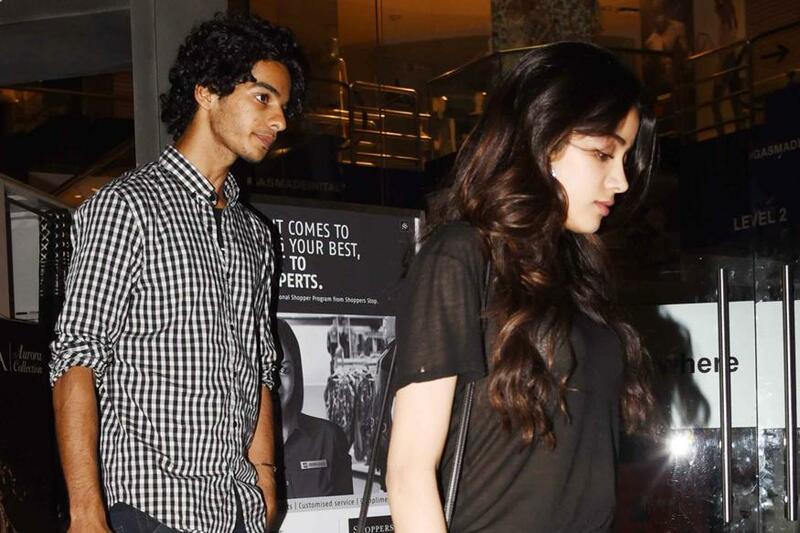 "Arfeen and I have always been the perfect hosts. We love feeding people specially our friends and families. We make sure that every evening is not formal and that everyone feels comfortable in our home," says Sara. Sara adds that throwing a house party can go on beyond the night too. "Throwing a party these days is not a big deal if you can hire a venue and throw a party. But when you throw a house party and invite people to your house, it's actually more personal. Eid party is something that I guess you don't need a party venue for as people usually come to your house to celebrate together. My parties go on till the mornings. We play monopoly and then the hookahs come out and karaoke happens and then they leave after their morning tea. This closeness cannot happen when you party at a venue," she says. 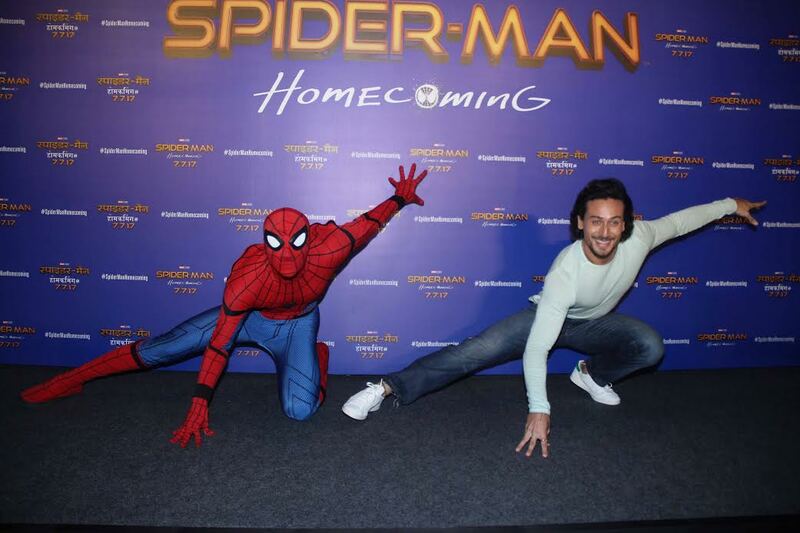 Be it his agile action sequences or his dance moves, there is no beating Tiger Shroff! 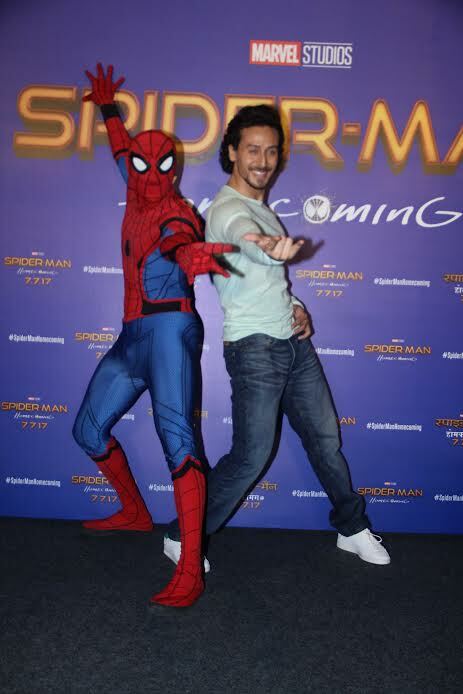 The Bollywood heartthrob has come on board to dub as Spider-Man in the Hindi version of the much awaited ‘Spider-Man: Homecoming’! 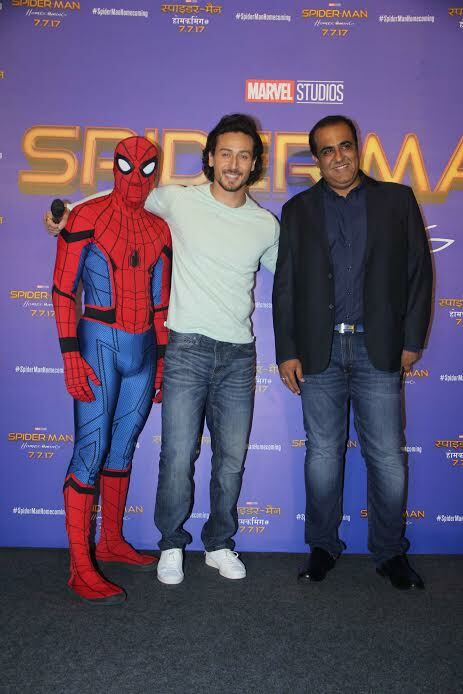 This is Tiger’s first ever association with a Hollywood tent-pole film and the actor launched the exciting Hindi trailer of Spiderman-Homecoming at an adrenaline filled event today! 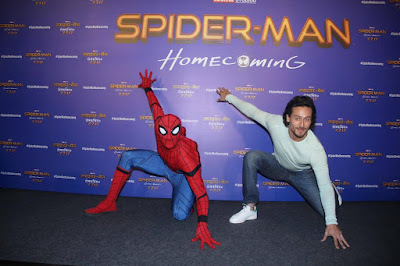 Now that the film’s trailer has been launched, Tiger said that dubbing for Spiderman was like his half dream come true.On playing one of his favourite superheroes, by dubbing for him in Hindi, Tiger also explained how it was to actually lend his voice for Spider-Man and how he got into the character to do so. 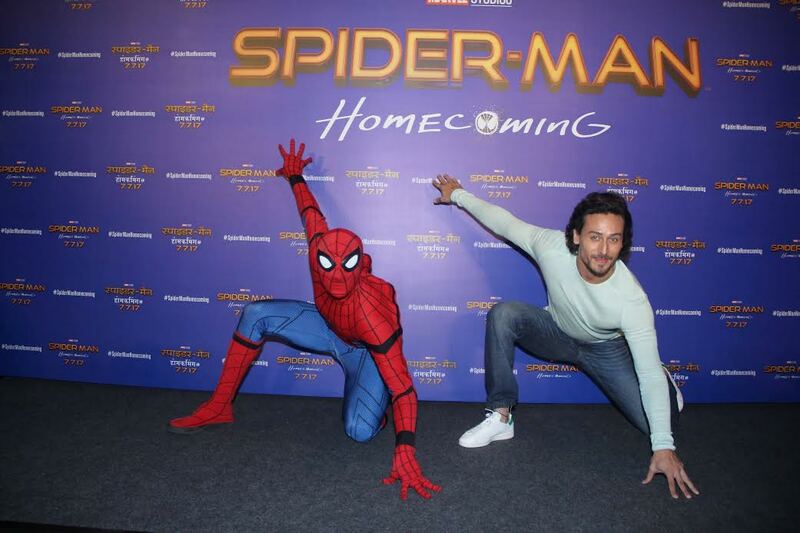 Sony Pictures Entertainment India's ‘Spider-Man: Homecoming’ releases in India on 7th July in English, Hindi, Tamil, Telugu. क्या बनेगी ईशान और जाह्नवी जोड़ी ? बॉलीवुड के गलियारों में खबर गर्म है कि एक्टर शाहिद कपूर का सौतेला भाई ईशान खट्टर और श्रीदेवी की बड़ी बेटी जाह्नवी कपूर जोड़ी बनाने जा रहे हैं। इन दोनों की यह जोड़ी करण जौहर के बैनर धर्मा प्रोडक्शन्स के तहत बनने वाली हॉलीवुड की २०१४ में रिलीज़ रोमांटिक ड्रामा फिल्म फाल्ट इन अवर स्टार्स के हिंदी रीमेक से बनेगी। इस फिल्म का निर्देशन शशांक खेतान करेंगे। इससे पहले यह खबर भी थी कि जाह्नवी कपूर का डेब्यू मराठी फिल्म सैराट के हिंदी रीमेक से होगा। करण जौहर अपनी हॉलीवुड रीमेक फिल्म के लिए पहले दीपिका पादुकोण-सुशांत सिंह राजपूत और आलिया भट्ट-आदित्य रॉय कपूर की जोड़ियों पर राय मशविरा कर चुके हैं। इस लिहाज़ से ईशान और जाह्नवी की जोड़ी बनना दिलचस्प खबर जैसा है। खबर यह भी है कि फिल्म की शूटिंग शुरू करने से पहले ईशान और जाह्नवी एक साथ काफी समय बिता रहे हैं, ताकि आपसी समझ पैदा हो सके। इस जोड़े की साथ तस्वीरे गॉसिप कॉलम में गर्मागर्म खबरों के साथ छप भी चुकी हैं। ईशान खट्टर ईरानी फिल्मकार माजिद मजीदी की फिल्म बियॉन्ड द क्लाउड्स की शूटिंग पूरी कर चुके हैं। हॉलीवुड रीमेक के निर्देशक आशीष खेतान ने हम्प्टी शर्मा की दुल्हनिया और बद्रीनाथ की दुल्हनिया जैसी हिट दुल्हनिया फ़िल्में बनाई हैं। क्या वह जाह्नवी को ईशान की हिट दुल्हनिया बना पाएंगे ? Now it seems Evelyn has a new list of surprises up her sleeve. 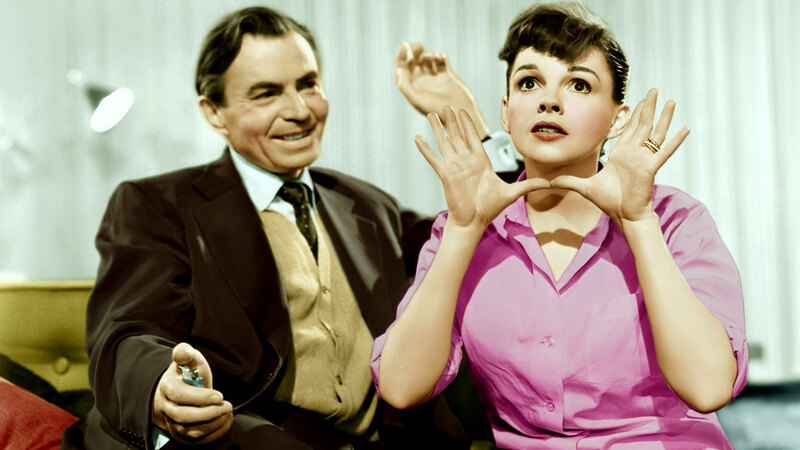 Turns out, her frequent trips to Los Angeles were not about a boyfriend, but movies in the West. "Super exciting times. Nice to get inquiries and read scripts in LA," she's just tweeted. 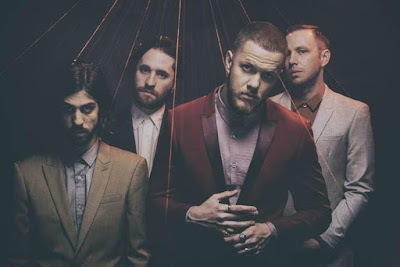 The highly anticipated album by Imagine Dragons titled ‘Evolve’ has officially arrived. Followed by the release of the global smash hits ‘Believer’, ‘Thunder’ & ‘Whatever It Takes’ the whole album released worldwide on 23rd June. Throughout Evolve, Imagine Dragons find unlikely glory in intense self-reflection. 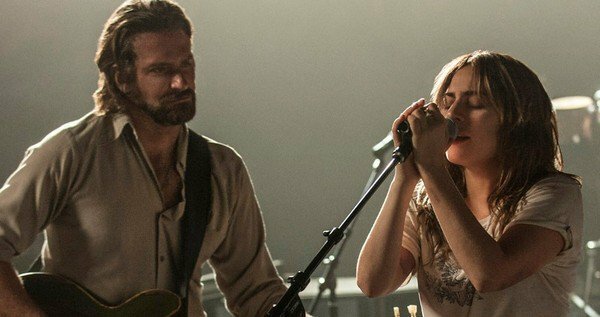 On “Whatever It Takes,” the band turns self-doubt into a soaring, shimmering epic driven by heavy beats and Reynolds’s rapid-fire flow. Another moment of reckoning, “Thunder” brings waves of majestic harmonies and warped vocal effects to Reynolds’s recounting of his life’s journey so far. The staggering album features a diverse tracklist showcasing 11 powerful tracks by the American Rock band. “The value of film memorabilia is there till the time technology replaced hand-painted posters and showcards with printed ones. If we had not placed credible financial value on these related objects of our film culture, the desire to preserve, love and respect our cinematic heritage would have been much more difficult to emerge,” said Neville Tuli, Chairman - The Osian's Group. 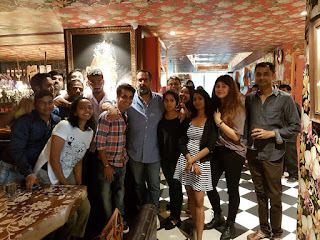 His words rang through Osian's The Greatest Indian Show On Earth 2 - Vintage Film Memorabilia, Publicity Materials & Arts Auction where film lovers from the world over flocked to take home a piece of Indian cinematic history to be hopefully preserved forever. 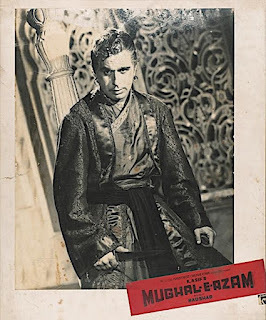 Dilip Kumar's rare set of an original watercolour, mixed media and collage showcard artworks of Ram Aur Shyam that saw the actor in a first double role, sold for Rs.3,36,000. Kranti unique 12-sheeter teaser went for Rs.3,00,000. Sohrab Modi's Sikender sepia-toned photographic stills mounted on lobby cards sold for Rs.78,000. 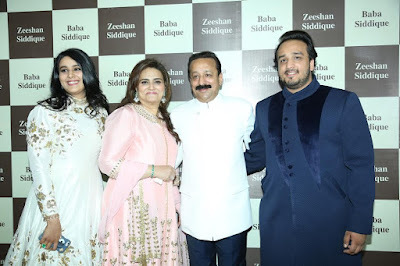 Mehboob Khan's Andaz hoarding with Raj-Dilip-Nargis portraits sold for Rs.1,20,000. 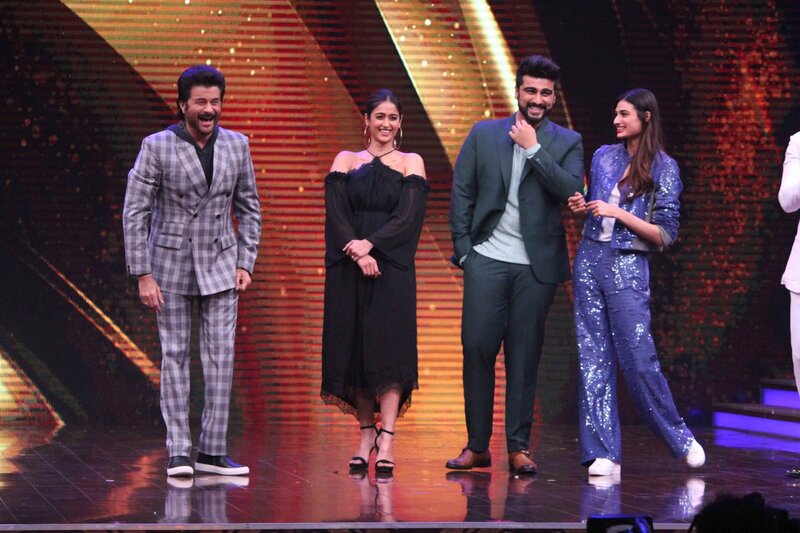 A Kal Aaj Aur Kal six-sheeter poster of three generations of the Kapoor Family sold for Rs.54,400 while a Bobby Golden Jubilee trophy sold for Rs.74,400. Dilip Kumar's Mela's rare set of 6 original mixed-media collage artworks sold for Rs.48,000. Aan stills, a set of 4, sold for Rs.52,800, to name a few. Rare Artworks from the later 1990s onwards period such as Shah Rukh Khan's doodle, ink on paper, sold for Rs.1,20,000 while Aamir Khan's frontal portrait in poster paint on cardboard in Mangal Pandey by Balakrishna sold for 64,500 while MF Husain's Gaja Gajamini in Paris photographic collage and ink on paper sold for Rs.1,44,000. The price of all works can be seen at www.osianama.com. At the auction, original Artworks by Satyajit Ray, Mani Kaul, jostled for space with film legend, Dilip Kumar; the cinematic epic, Mughal-E-Azam, to the unique jubilee trophies of Bobby, Deewar, Heera and others; from original publicity-material art for Andaz (1949), Anari (1959), Guide (1965), Deewaar (1973) and others to rare vintage twelve and six-sheeter posters of Kranti (1981), Silsila (1981), Kal Aaj aur Kal (1971) and others; to rare posters, showcards, lobby cards, photographic stills from the golden 1950’s period to the era of Amitabh Bachchan to the current trinity of Salman-Shah Rukh and Aamir. 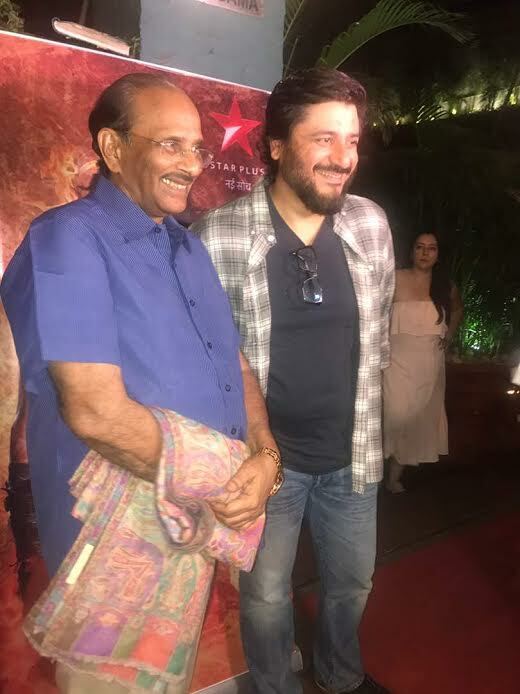 Touted as the Bahubali of television, Goldie Behl’s much-awaited historical fantasy Aarambh, produced by Srishti Behl premiered on 24th June, 2017 on Star Plus. The show is written by K.V Vijayendra Prasad, who has written blockbusters including Bahubali, Bahubali 2 and many more. His grand idea of bringing the era of Aryans and Dravidians to life was woven into words in Aarambh. With its interesting cast, brilliant narrative and stellar performances by the lead actors Rajniesh Duggal and Kartika Nair, Goldie Behl’s highly-anticipated historical fantasy on Star Plus, has received rave reviews from critics and audiences alike. Way to go, Tanvi. We are sure we will be seeing a lot more of you from now on! 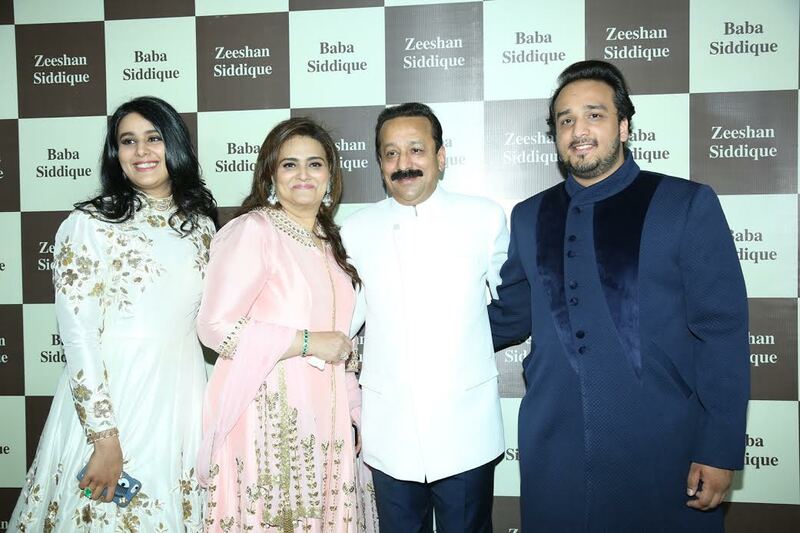 It's that time of the year again where the biggest and most influential names meet under the same roof at Baba Siddique & Zeeshan Siddique's annual Iftaar dinner.The popular politician along with son Zeeshan, hosted his 9th annual Iftaar bash at the Taj Lands End Gardens, Bandra which saw some of the biggest names in cinema, business, politics, medicine ,law and people from all walks of life came together. 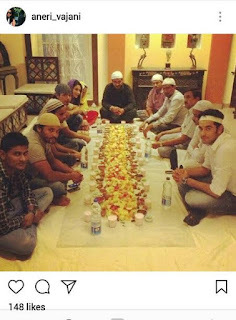 The Iftaar saw a host of celebrities from the Indian film industry including superstars Salman Khan and Shah Rukh Khan, Salman's family Salim Khan and Sohail Khan, sisters Alvira Agnihotri and Arpita Khan Sharma and their spouses Atul Agnihotri and Aayush Sharma and baby Ahil, Preity Zinta, Kabir Khan, Mini Mathur, Sooraj Pancholi, Huma Qureshi, Daboo Ratani, Ileana D'cruz, Nidhhi Agerwal, Abbas Mastan, Rajkummar Rao, Sonu Sood, Maniesh Paul, Amyra Dastur, Kiara Advani, Gurmeet Choudhary, Neetu Chandra, Freddy Daruwala, Manish Malhotra, Jay Bhanushali, Mahhi Vij Aamir Ali, Sajid, Wajid, Rhea Chakraborty, Mustafa Burmawala, Puj Banerjee, Krushna Abhishek, Kashmira Shah, Himesh Reshammiya, Shama Sikander, Ankita Lokhande, Ragini Khanna, Aarti Singh, The Moranis, Anees Bazmee, Bhushan Kumar, Kishan Kumar, Sajid Farhan, Sajid Nadiadwala, Aditya Pancholi, Rashmi Desai, Upen Patel, Sachin Pilgaonkar, Swapnil Joshi, Akruti Nagpal, Sonali Raut, Suha Gezen, Aalim Hakim, Shanu Hakim, Mukesh Chhabra, Niketan Madhok ,Vaibhav Tatwadi among others. Others from the field of politics to attend included Sushil Kumar Shinde, Prithviraj Chauhan, Ashok Chauhan, Mohan Prakash , Pratap Sarnaik, Sachin Ahir, Vishwajeet Kadam, and many more. 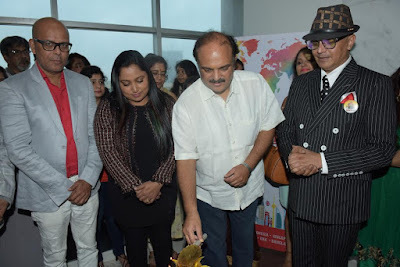 With a reach of over 150 million worldwide, London Indian Film Festival (LIFF) is Europe's largest South Asian film festival and takes place in London and Birmingham over 11 screens. 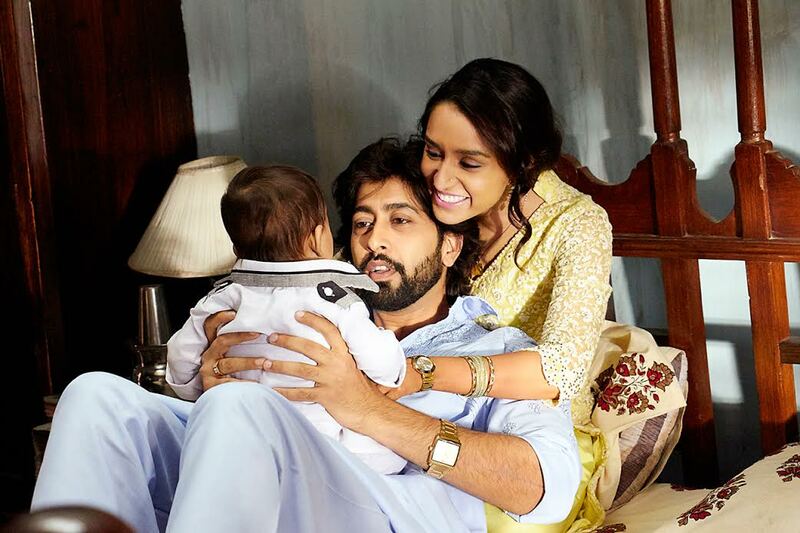 Shraddha Kapoor, who will be next seen playing the lead role in Apoorva Lakhia’s upcoming film ‘Haseena Parkar’, which is based on the life of dreaded don Dawood Ibrahim’s sister Haseena, will be seen playing a loving mother to four kids and Apoorva revealed an interesting trivia about how the young actress prepped for the scenes with her reel kids.Apoorva said, “There was a scene which was extended when we saw Shraddha cradle her screen kids to stop the crying. She is really patient and mature for her age. I remember her reading pregnancy books and paying attention to details like the way expectant mothers hold their backs. 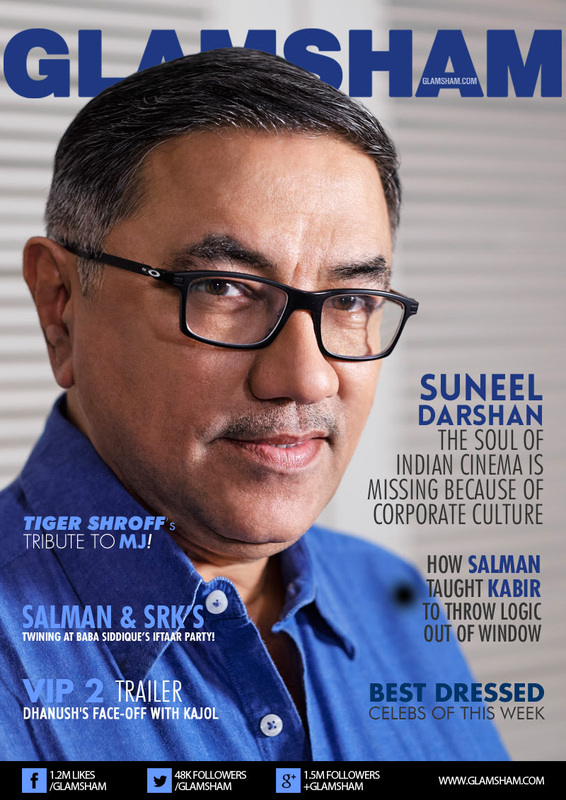 "He further added, “I ensured that they (the kids) arrived two-three hours before shooting commenced and hung out together with Shraddha and Ankur Bhatia, playing and talking to each other. We also instructed the real parents to not be around during the shoot." 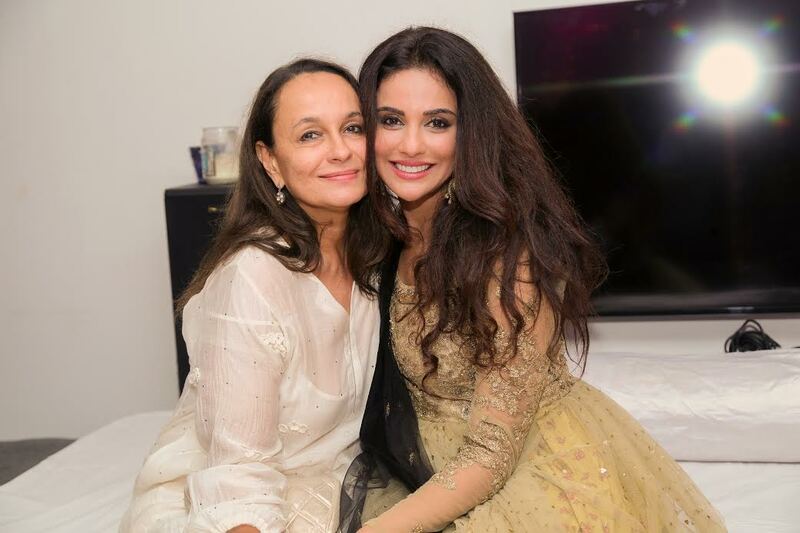 A source attached to the unit also said that Shraddha’s closeness with her aunt Tejaswi Kolhapure's daughter Vedika too made it easier for her to play a mother on-screen.Directed by Apoorva Lakhia, ‘Haseena Parkar’, is being presented by Swiss Entertainment and has been produced by Nahid Khan. ‘Haseena Parkar’ is slated to release on August 18. The Drama Company has created a lot of noise for its ensemble cast which will soon air on Sony Entertainment Television. 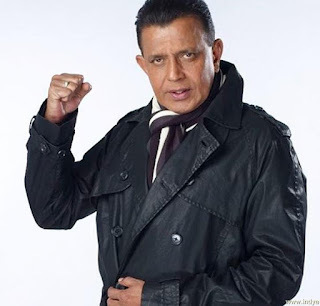 After roping in talented comedians like Krushna Abhishek and Sudesh Lahiri, the latest to join the cast is the Bollywood superstar and the king of Disco, Mithun Chakraborty. Joining Mithun Da, Krushna and Sudesh on the show will be the talented team of Ali Asgar, Dr. Sanket Bhosale, Sugandha Mishra and many more renowned faces. Mithun Chakraborty makes his acting debut on television where he will play a pivotal character and not his usual self in The Drama Company. The show will be one roller coaster ride for the entire cast and promises to be a laugh riot for audiences. With Mithun Da’s humorous presence, the entertainment quotient will be heightened to maximum for all viewers. Entreprenuer Vikas Jain, who is the founder of JK Masala, is presenting culinary reality show cook studio with producer Ashish Sabalawat, says that the concept of the show interested him. "I liked the concept of getting different kind of people - mothers, daughters, basically people who are not professional chefs but love cooking, on a common platform. It will help them showcase their passion for cooking. A reality show based on this was what attracted me," says Vikas. Talking about his equation with Ashish, Vikas says that he shares a great rapport with him. 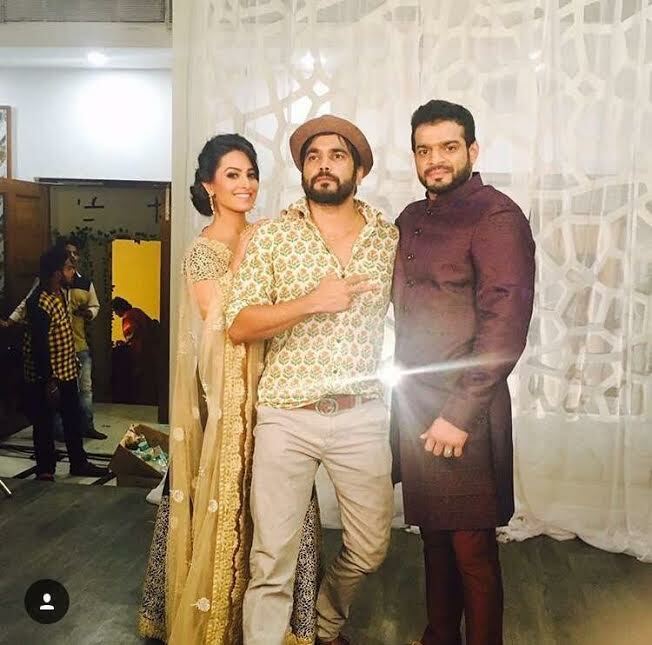 "Ashish has been a friend. Her liked the concept and was on board immediately. We started the work four months back," he says. 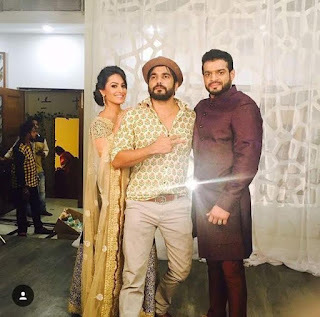 The show will be judged by actors Karan Patel and Anita Hassanandani. Talking about the thought process behind choosing them, Vikas says, "We did a survey where Karan and Anita were the most popular celebrities. When we approached them, they agreed readily and are looking forward to the show. We also have Rajiv Thakur and Roopal Tyagi, Abhijeet Sawant. On the senior judge panel we have Vicky Ratnani,who has been associated with Master Chef, and for our help, we have a local chef Abhishek Sharma." 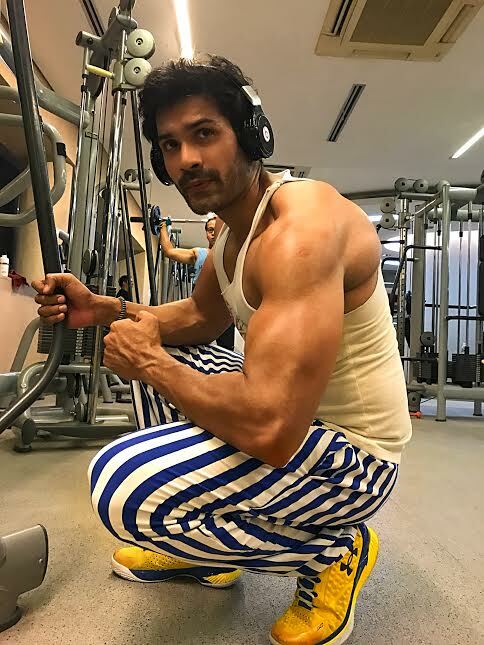 One of the fittest actors of television, actor Mrunal Jain is a clear example of the outcome of a balanced diet and regular exercise. The actor, who is currently in Indonesia for his show, has been regularly working out to ensure he remains in shape. “Fitness is not only about having a good body, it has to be a balance of flexibility, posture, structure and a fit and healthy mind. All of this has to be in sync and should be balanced. Just because someone has a good body, it is not necessary that he will be fit as well. For me, a healthy mind helps you to create a good body and a perfect body helps you in having good thoughts as well as be confident about yourself,” he says. Mrunal, who was last seen in last seen in Naagrjuna Ek Yoddha, has been in Indonesia since the last two months. He has been regularly uploading his pictures and working out videos on Instagram. “I am very careful about my diet. Although I am a vegetarian, that has never stopped me from building a body. Of course, I am obsessed with working out and you can find me in the gym every day,” he says. Talking about Bollywood actors, Mrunal says that there are quite a few who have become great examples for fitness enthusiasts. “According to me, Akshay Kumar is the best. Even at this age, his action sequences on screen are amazing. The fact that he does these on his own without the help of a body double, motivates a lot of people to stay fit. The fittest actress has to be Priyanka Chopra. Her acting and action sequences in her film ‘Mary-Kom’ proves she is the best at her job. I think Hrithik Roshan and Tiger Shroff are also fit,” he says. Talking about his own workout regime, Mrunal says, “I workout six days a week, where I concentrate on toning my entire body. I concentrate on stretching my legs two days a week and conctrate on other things the rest of the five days,” he says. Mrunal often gets fan mail where he is asked about how he keeps fit. For all those who are looking for some fitness advice from the actor, here is what he has to say. “I would like to say that you should eat what you like, but try not to over eat. At the same time, don’t starve yourself. Even if you are eating junk food, make sure you hit the gym or do some physical activity, which will burn your extra calories,” he says. It’s time to celebrate as Superstar Salman Khan’s new film Tubelight is set to release on 23rd June. Joining the celebrations is Cox & Kings which has partnered with Tubelight to launch `Pose Karo, Tubelight se Milo’ contest. 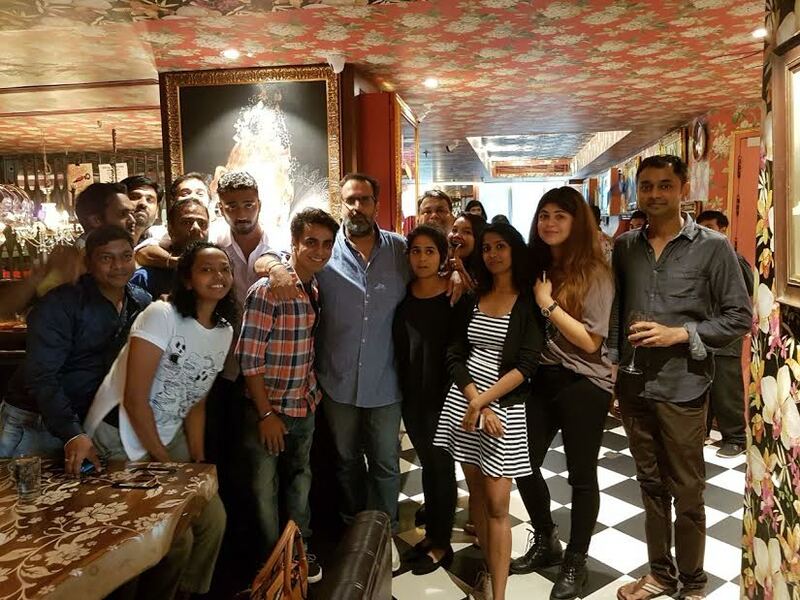 The lucky winners stand a chance to live their fan moment of meeting Salman Khan. The famous songs of the film Tubelight provide a glimpse of the scenic beauty of North India. Cox & Kings has also launched products keeping the movie theme in mind.